They were courteous , professional, and kept to their timeline and pricing. We had a great experience with Mark and the team at Red Diamond roofing. I worked with Allen at red Diamond and he was amazing. Red Diamond gave me a quality roof in a timely manner. The process from start to finish was easy and smooth. 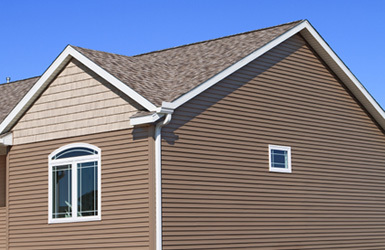 Red Diamond Roofing Denver prides itself on upfront and ethical contracting services. 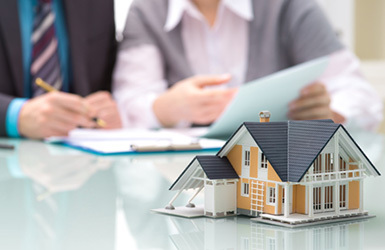 As a family owned and operated business we believe in passing the savings on to our customers, while still ensuring that they receive the best Denver roofing services possible. 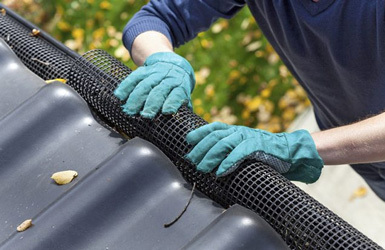 Our Denver Roof Repair and property maintenance services are affordable, reliable and always professional. Red Diamond Roofing doesn’t just serve Denver, but all of Colorado with superior roofing, siding and property maintenance services. We treat each project with the utmost respect and attention to detail. We never end a project unless the client is 100% satisfied. 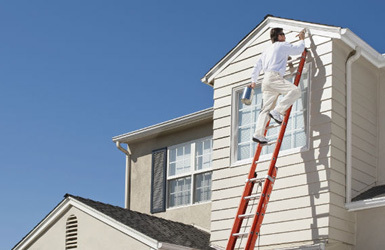 If you have a need for new or repaired roofing, gutters, siding, or a new exterior paint job, we are here to serve you. We can even assist with insurance claims. We are GAF certified, BBB Accredited, and an Owens Corning Preferred Contractor. Contact us today to experience the Red Diamond difference, and get the roof repair Denver contractor you deserve. As a generations old Denver Roofing Contractor, we believe that what we do truly matters, and so we don’t take our work lightly. We help homeowners and businesses to beautify their premises, protect their loved ones and contribute to a healthier and more sustainable environment. 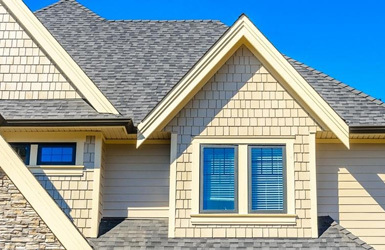 If you are in need an experienced Denver Roof Repair specialist, read on to learn what sets Red Diamond Roofing apart from other roofers in Denver, Colorado. Great service at great pricesWe don’t believe that great service should have to cost a fortune. Great PartnershipWe don’t just install roofs and gutters. We treat you as a partner, and we work. A finished product you can be proud ofWe always leave the job site cleaner than we found it. The best customer serviceWe truly committed to providing service at a higher level, so always feel free to reach. I was very pleased with Red Diamond Roofing. It was a pleasure working with Brian Dewald. He was really helpful by explaining how the insurance claim works. Red Diamond gave me a quality roof in a timely manner. I will definitely be calling them back the next time I need a new roof. After having my roof destroyed by hail my insurance company sent me a list of roofers to consider. I didn't like any of them so went looking on my own and came across a very highly rating company near me. I like supporting local businesses. Red Diamond roofing proved to be as good as their rating. I hope I don't have any further hail damage but it's good to know that a company such as Red Diamond is out there. They were courteous , professional, and kept to their timeline and pricing as promised. I highly recommend them. Many roofing companies mailed information, several knocked on the door, but I was referred to Brian Dewald at Red Diamond Roofing. Brian and Red Diamond Roofing are solid. We scheduled a meeting (July 2016) and Brian came prepared with everything I needed to review. The roof project started and finished on time. They handled the cost/replacement issues with State Farm. The work crew were the hardest working guys I've witnessed. My neighbors had roofs replaced and I watched other work crews, but none matched the crew that RDR put on my roof. They did exceptional work too. When they were finished, absolutely no debris left behind. Brian's management of the project and follow-up were perfect. I had nothing but a good experience these guys. We had a great experience with Mark and the team at Red Diamond roofing. Mark went out of his way to work with our schedule to go over the process of getting a new roof. The workmanship on the roof was great and they started and completed the project exactly when they promised. I usually do not rate things with a perfect score, but I can't think of anything that I was not happy with. After the June hail storm we were bombarded with roofing companies coming to our house. My husband and I did our research and we decided to call Red Diamond Roofing to come and look at our roof. We had already had our insurance adjuster come and give us the insurance estimate of damages. 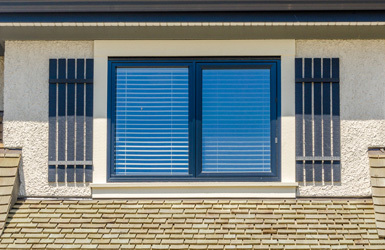 When Mark Lewis came to look at our roof and gutters he helped us get better quality shingles than we had, and put larger downspouts to prevent a problem we had with our previous gutters. We felt like he really put us, the customers, first. He also recommended some contractors for repairs that they did not do. Our roof was replaced about 1 month after the hail storm. We were the first ones on our street to get it replaced. They completed the work in only 2 days and did a great job cleaning up our yard. Six months later we are very happy with the quality of the shingles, and it looks great! 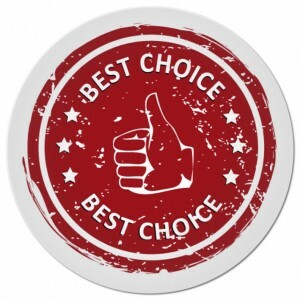 We were extremely happy with our experience with Red Diamond Roofing. Red Diamond Roofing came knocking on my door a few days after one of our infamous Colorado hail storms. Their Tech inspected my roof and pointed out significant siding damage that I hadn't even noticed. They worked with my insurance company and got my roof and siding replaced. They were fantastic! My experience was so trouble free that I always recommend them to anyone I know who is looking for roof or siding repairs. If and when I have any roofing or other issues I will always call Red Diamond first. I had a great experience with Red Diamond Roofing. I worked with Brian and he was wonderful. I was not too familiar with how the process should work or how I should take care of my roof but he walked me through it all! The process from start to finish was easy and smooth. I would recommend Red Diamond Roofing to anyone in the market for a roof. I worked with Allen at red Diamond and he was amazing. He really helped me fight the insurance company and get my roof repaired. He was a great when the roof was getting installed and following up on a few minor corrections that needed to be made. His team did a great job at well. Red Diamond Roofing was built on the foundation of upfront and ethical business practices. 7000 N, Broadway, Unit 101,CO 80221. Copyright © 2019 - Red Diamond Roofing. All Rights Reserved.